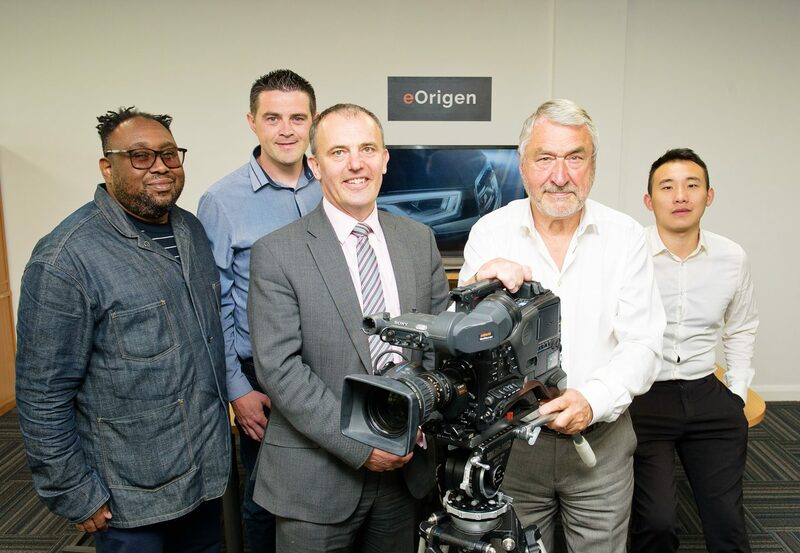 NPIF – Maven Equity Finance, managed by Maven Capital Partners and part of the Northern Powerhouse Investment Fund, has invested £250,000 in Lancashire-based eOrigen Learning and Communications Ltd (“EO”), a digital production company specialising in the creation of digital media and bespoke e-learning and training content. The funding will help EO to execute its ambitious growth strategy to launch and scale its learning and development (L&D) IT platform, INPIN™, to become an accredited global training ecosystem and create 36 new jobs. EO was originally established to produce digital media and bespoke e-learning and training content. The company has developed a learning and development platform that is unique in terms of its potential reach and scalability across the training sector, as it brings training providers, large organisations and individual learners/employees onto a single eLearning eco-system. The award-winning company now creates actor-led training films, 3D animations and interactive multimedia e-learning courses for many Blue-Chip clients including British Airways, AMEC, EDF Energy, Sainsbury’s, NHS, RSA and RWM. Founded by CEO, Mike Mulvihill, whose extensive film and TV experience coupled with his commercial background working on projects for large corporate clients, has resulted in EO producing award winning learning and development videos and content. Mike is supported by a strong senior management team, which brings a broad range of complementary experience and skill-sets. Ashle Whittle, COO, has a distinguished career in information technology with sector experience spanning across retail, aerospace and government departments, having worked for organisations including BAE Systems, Telefonica, Sainsbury’s, Home Office and HMRC. Mark Trudinger, CRO, is a sales leader and an expert in innovative technology. Prior to joining EO Mark co-founded ITC, a web application business servicing customers such as Sainsbury’s, Home Retail Group and Allergy Pharmaceuticals. Successfully developing a proof of concept (POC) project backed by the National Skills Academy for Nuclear (NSAN) in 2013, EO developed a Moodle based L&D resources marketplace, Nuclear Training Network (NTN) where any training providers can upload and host their online content and end users can search and undertake any training course appropriate to their needs. The platform allows thousands of training providers across many industries to converge, promote and sell their eLearning products and learners can source and purchase their training requirements from the NTN through one simple access point. Following the success of the NTN, EO recognised the need for a broader global multisector training ecosystem. It then developed its own proprietary software platform INPIN™ to disrupt the market as first mover into the rapidly growing global training market place. The total value of L&D spending in the UK is in excess of £21bn per year, the vast majority of which is expended internally by the public sector, large organisations and SMEs. It is estimated that £2.95bn of this spending is sub-contracted out to be delivered by c 12,300 independent training providers. A growing percentage of this overall training (25%) is now carried out online and reflects the decline in instructor-led training, which has declined from 45% to 32% since 2009. The requirement to increase employee skill levels (especially when driven by legislative and compliance requirements) and the need to control costs is driving this growth in eLearning. Maven manages £57.5 million worth of equity finance for NPIF. NPIF – Maven Equity Finance forms part of the £400 million Northern Powerhouse Investment Fund that was launched in February 2017 as a partnership between the British Business Bank, 10 Local Enterprise Partnerships in the North of England, the European Investment Bank and the European Regional Development Fund. NPIF – Maven Equity Finance is now supporting the growth aspirations of high-growth potential SMEs across Lancashire, Greater Manchester, Liverpool, Cumbria and Cheshire. Andy Walker, Head of Business Growth at Lancashire County Council, said: “Digital innovation is a key economic priority for Lancashire and eOrigen is a very good example of a dynamic business thriving in this sector.